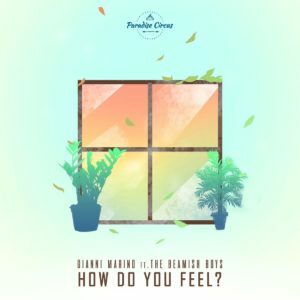 Launched on October 26th 2018 through Paradise Circus is ‘How Do You Feel?,’ a new single written and produced by Gianni Marino. The Dutch DJ and producer has an incredible energy about him, with previous releases landing on labels including Dim Mak, Mad Decent, Armada and Mixmash. With his work always surprising and delighting fans, Marino has collaborated with sibling duo The Beamish Boys on ‘How Do You Feel?,’ a deeply melodic offering. Soft peals of flute and stretched out synth chords provide a basis for its surging, searching vibes. Moving with deliberate weightiness and rich vocals, ‘How Do You Feel?’ is a magical listen that keeps you coming back for more.